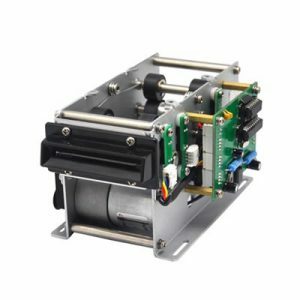 MTK-711 is the motorized card recycling machine that collects card automatically with optional native support for ISO compliant RFID decoding and encoding. With atenna space reserved, it’s also optional to customize with your own proximity card readers or barcode reader. The collector is in compact and robust design and support RS-232/USB/TTL communication for easy integration and development. It’s can be used in self-service solutions for card parking management, RF card initialization and access control systems. MTK-711 is the motorized card collecting machine that is optional to have RFID and Barcode Scanner Modules. If you have demands for combined dispensing and collecting functions, please consider our MTK-F31 Card dispenser or other products from our portfolio.